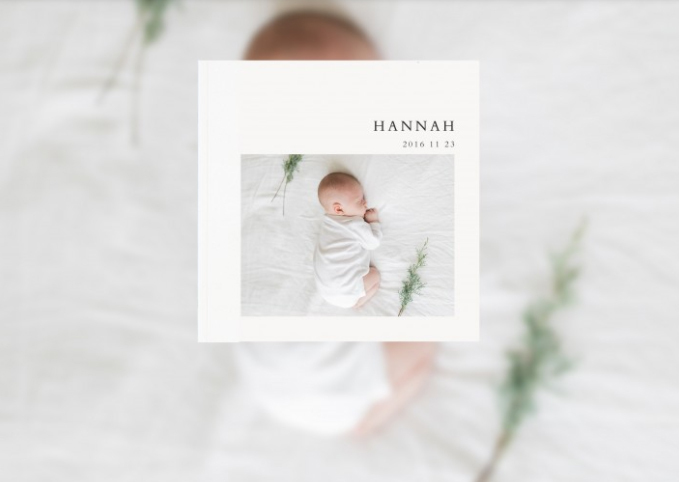 We love photo books – and the great news is, there are photo book creation options for everyone, depending on your budget, how much time you want to spend on the project, how much customization you require and how polished you want the finished product to be. The bad news is, not all sites work for Canadian shoppers, so we’ve compiled a list of some of our favourite Canuck-friendly options to help you get started. We’ve also included a few US options at the bottom because they’re big-time fan favourites, but keep in mind that you might get dinged for shipping and custom/import duties upon delivery. Blacks makes photo book creation pretty straightforward, simple and easy to use. This is a really good option for those intimidated by the book-making process or if you don’t want too many options. 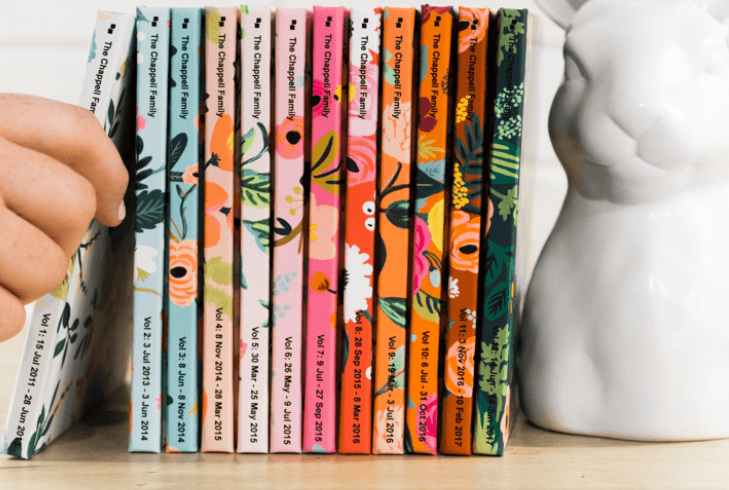 You can choose from a few different themes, colours and sizes and build your book from there. Nice and easy. 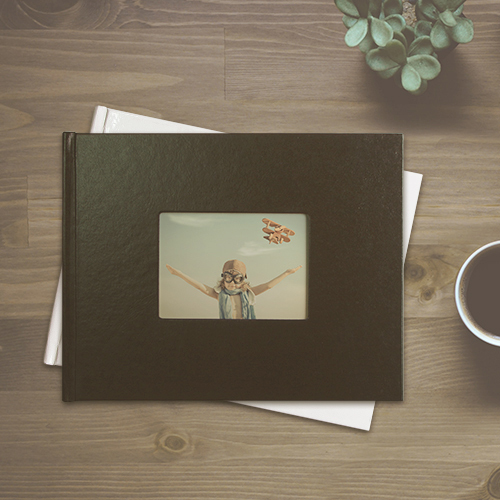 This site offers Canadian-made, affordable, traditional photo book looks. There’s nothing fancy here, but they have some nice, classic options and offer five different book size and cover design options. 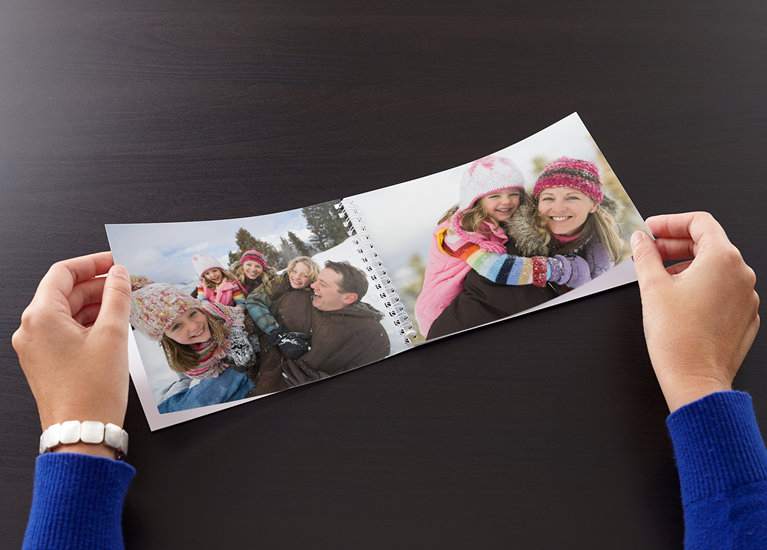 Photo books are not Vistaprint’s core business, so the design options are minimal but the site is a good option for those who want a simple and informal-looking finished product. They offer good quality and value for the money, plus they offer fast shipping and have tons of other custom photo gifts and ideas to choose from. Henry’s is well-known in the Canadian photography industry and they have some good services for photo book creation. They also offer many other services, including prints, cards, calendars, canvas and more, if you’re looking for a one-stop shop for custom photo ideas. We couldn’t pass up including a few of these fan-favourite sites. They offer great quality as well as more options and variety—but you’ll have to pay the shipping and might get charged with custom/import duties upon delivery. Blurb is pretty well known in the photo book scene and has some really sleek, polished, high-quality books. The creation process is pretty user-friendly as well with Adobe plug-ins available. This is great for anyone who wants lots of options and some flexibility when it comes to creativity. Chatbooks has gorgeous options for covers and are as stylish as they are unique. They also offer great prices and are easy to make. The Series option allows you to automatically add in photos from your phone, Facebook or Instagram, and print your series in beautiful, botanical-themed covers from Rifle Paper Co.
Mixbook has plenty of beautiful options for customization including templates, fonts and budgets. 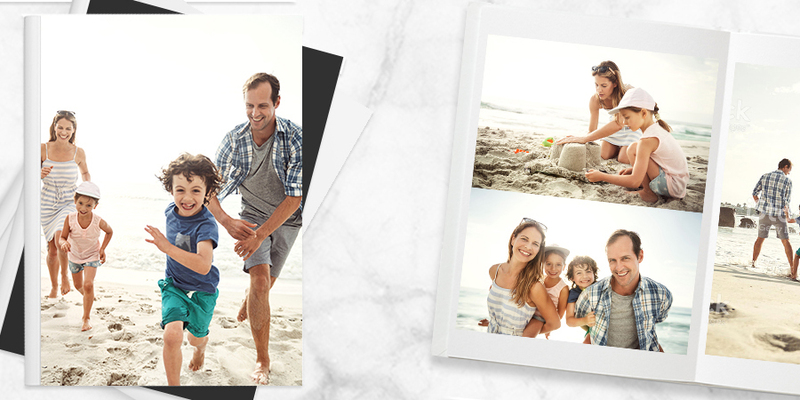 Plus, users can choose from 359 photo book themes, 89 of which are dedicated to ‘Family’. That’s a lot of options! Rated #1 in 2014 by Top Consumer Reports in the U.S.
“Project Inspiration” tab provides great ideas to get you started as well as tips and guides to help you make the most of your creation. Photo books starting at $21.99, calendars at $28.99. If you’re making multiple books for different people start by creating one master version that can be tweaked for others using dates and images that are meaningful to them. If you do photo books annually, create a file on your phone and/or computer every January that you can transfer your favourite photos into throughout the year. And if you’re including photos from other family members, be sure to give them plenty of time to share their favourite images with you. Consider attaching a theme to your creation, like “Our Summer Vacation,” “Favourite Family Moments” or “Being Silly in 2017.” This helps create a more structured and cohesive finished product, and you can change the theme year to year. Pay attention to how your photos are organized and ordered. A great photo book is like any story, so consider how you want yours to flow and unfold. Before you buy or decide on a service, search online for sales. It’s not uncommon to find a promo code for 40%, 50% event 60% off at this time of year. My mom brain starts to tumble into anxious territory. Is something wrong with him? Is something wrong with me? Have I failed him? Easter doesn’t have to equal mounds of chocolate. (Though a little bit doesn't hurt!) This year, if you're looking for other options, this list has lots of great ideas for you! We love finding great stuff on Amazon and having it delivered to our door. Right now, there are tons of great spring-inspired products for adults, kids and babies. Here are a few of our favourites. The more interactions and experiences kids have, the better. And exposing your children to many different friend groups helps you achieve this. 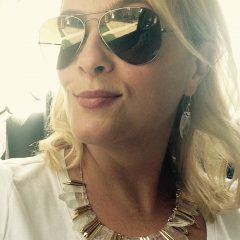 Jen Millard lives in Markham, Ontario with her husband, two daughters and three badly-behaved pets. Jen is happiest when she’s got her nose in a book, a glass of wine at her side and a nap on the horizon. When she's not blogging, Jen is wondering how mascara marketers sleep at night and teaching College part-time. I have used Vistaprint several times and different years to make POSTCARDS, using my own photo. I have never had any reason to complain about the imagery on the front or my design of the back of the Postcard. I would never make Postcards using Vistaprint because my batches of POSTCARDS were NEVER CUT STRAIGHT. This completely destroyed the professional look of the card as I couldn’t sell them like this. I complained and even went so far as to tell them to please mark on my file that my POSTCARDS must be cut straight. I continued to receive what I ordered, CROOKED on at least 2 sides and this is why I won’t use Vistaprint. I don’t understand why the company can’t cut this product straight? Wouldn’t they have machines set up to do the cutting? This was total frustration for me. 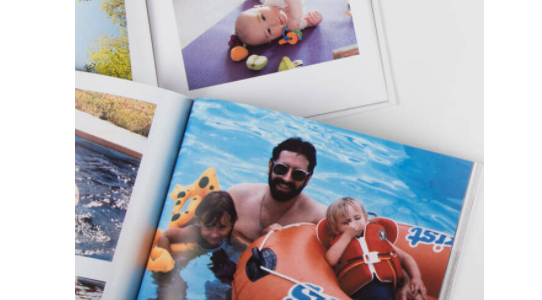 I have used Shutterfly for years and was quite happy & impressed with their work. IThey then started charging extra for the nicer looking embellishments, which could add up quickly (especillay with the difference in exchange rates. )Then I tried Mixbook with a coupon I saw online. Wow! So much better. Easy to use, so many "free" options and the quality of the photo, was so much better. Now I have seen new posts that Shutterfly picture quality has improved, but not sure if they are still charging extra for embellishments etc. Currently working on a large project with Mixbooks and it's turning out even better than I laid out my plans for. I ordered canvas prints from Photobook “Canada”. Items shipped from Malaysia. Price was 119.00 and shipping ended up to be 169.00. When I received them they were just awful! No way I was hanging them on my wall in my home! Sent pictures of them to support and they said that is their quality. They were AWFUL and I threw them out. DO NOT order from them. Thanks for letting us know! We'll update the list! NEVER use Photobook Canada! You should remove it from your list and provide a warning against using it. I ordered 3 photobooks using a deal where I paid $20 each for 3 books ($60 total). The computer added on a $7.99 surcharge for each book for using regular paper, even though it indicates regular paper has no surcharge, and the $7.99 surcharge is supposed to be for silk pages (so an incorrect charge of $23.97). With the cheapest shipping option costing $29 and duty of $25, I had to pay a minimum of $77.97 additional charges on my $60 item! I could not remove the paper surcharge and wanted my books by Christmas so I ordered anyway, and would follow up later on the surcharge. [I sent a message when I ordered with another question. They answered the other question and ignored my question about the incorrect surcharge. I answered again with the question about the incorrect paper surcharge and never heard anything.] When I was placing my order at the end, that's when I discovered that the cheapest shipping option was $29. I wanted to make sure it arrived on time so I paid $40 shipping to get it faster. (There was an option in between for something like $32.) Then you can track your order online. The books shipped by DHL courier from Malaysia. Then they went to Hong Kong, then Cincinnati, then into Canada. The day before they arrived, I got a message indicating I would have to pay $25 duty to receive my order. After reading emails I discovered that I would have to be home when the delivery was made to pay the $25, otherwise my order would not be delivered again until the next business day (which would've been Christmas Eve - and then I'd have to stay at home all day on Christmas Eve possibly to make sure I could receive it - from 9:00 a.m. to 9:00 p.m. a 12-hour window!). It was a Friday afternoon and I called DHL and they told me the truck had not yet attempted to deliver my package that day, so luckily if I remained home for the next 6 hours or less, I would get my package that day. 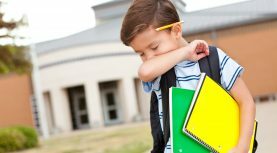 I arranged to have someone else pick my kids up from school so I could wait at home. It was lucky I did, because that's when the delivery came. I had to pay the $25 duty. At least I could then leave the house. I could have told DHL I would pick it up myself from one of two locations (one was the airport) the next day, a Saturday. I was worried they might be closed, have modified hours, or it would get lost since it was so close to Christmas, although not likely. So with the incorrect $23.97 paper surcharge, the $25 duty, and the cheapest shipping option $29, I had to pay at least an additional $77.97 on my $60 purchase! The charges cost more than the item I bought! And because I paid $40 to get faster delivery, I actually paid $89 in additional charges on top of my $60 purchase! I had already paid the $60 in advance and was now redeeming. It was NOT a good deal! It is false advertising to call themselves "Photobook Canada" when it ships internationally for large fees and duty is payable. Furthermore, you only learn you have to pay duty AFTER you've already paid and placed your order. Even the shipping you don't know the cost until after you've already spent hours creating your photobook and are ready to order. The ONLY reason I chose "Photobook Canada" is because I didn't want to have to worry about it going through customs and causing a possible delay. Plus, you can only pay by PayPal, so it will probably be harder to get a refund, if not impossible (than if my credit card paid Photobook Canada directly). By the way, I got superb customer service from Shutterfly in the U.S. and highly recommend them. I have created over 15 books with photobook Canada. I recently ordered three photoboks and had to pay extra custom fees/taxes so my books would be delivered. I paid as much for shopping as I did for the extra custom fees. This is news and I have read a lot of negative reviews since. Their customer service won't explain why the change and why this was never communicated to client. Along story short, I will never order from them again, which is too bad because I love their readybooks but my recent items ended up costing me over 60 dollars for 40 pages and I had coupons... not competitive! Katka, I did my photobook recently with Walmart Photo Centre Canada (not Walmart) and they do ship to Canada. I've used Photobook Canada a few times now and I can confirm with others that their books always come from somewhere in Asia. Although, their office is in Markham, you can't pick up your product at all. I do like the fact that you can install their software locally on my computer and so I can work on my album without any internet connection. However, even after a few books, I still have problem with pictures printed outside the edge. I really like the photo colour and the software by Shutterfly. Too bad they are in the US otherwise they would be my choice for photobook. I just built an album with Photobook Canada and am ready to order. There is a discount at 50% right now. should I order or is there usually bigger discount offered before Christmas? Interesting! Thanks for letting us know! We'll look into it and adjust our post. Thank you for the feedback! I have just this week (October 2018) tried to use Vistaprint to make a photobook. Big mistake! Their software crashed on me, pages disappeared, the phone number for customer support on the website was out of service and when I tried to get assistance at the main Vistaprint phone number, their representatives did not know how to contact the photobook department. I ended up sitting on the phone for about 40 minutes as they tried to figure out how to reach the photobook department and when they finally did and connected me with it, the connection was cut off before they could be of any use. Stay away from this company! Walmart, by the way, does not seem to offer the photobook service in Canada - I tried but, as is often the case, could not reach a live human being at the Canadian web site to tell me if it is or is not available here and there was nothing online about it. Maybe the U.S. Walmart would deliver photoboks to Canada, but I doubt it as they don't deliver anything else to this country - if it isn't available from Walmart Canada, they won't ship it here. FOREVER Print should be on this list! It offers the best photo book quality I have found in the US. It prides itself on using archival-quality materials that will last for generations without fading or deteriorating in any way. I have been FOREVER Print for over a year and highly recommend! Good to know about these! We'll have to add them to our list! Thanks! You missed costco for thier photobooks. You can get a 20 page book for 10 bucks. There is even more choices in the website. And cheaper than the ones you posted..
Love the ideas. I have been considering Walmart and Staples for a photo book. Any experience with either of them and how they compare to the ones you selected for this blog? I like the idea of going Canadian, but these ones are pretty quick and close to home. Still debating.